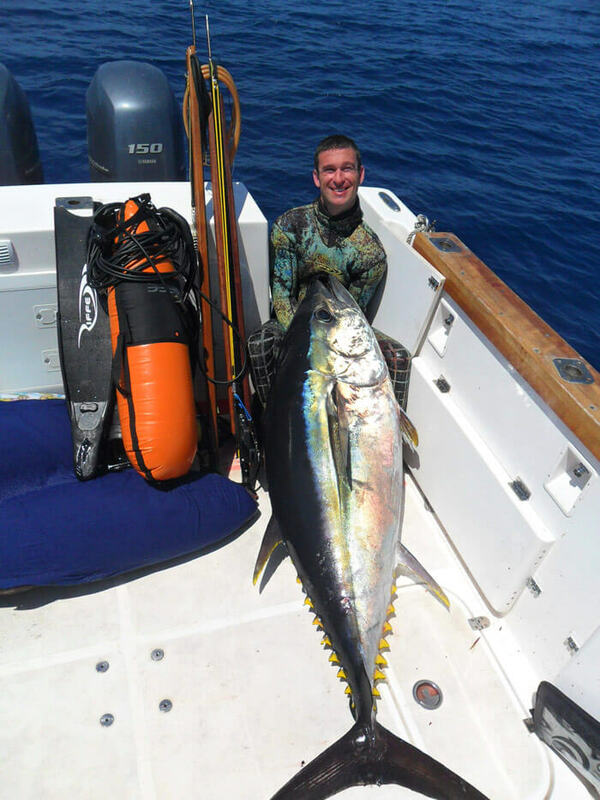 The Azores is known for its monster tuna, billfish and world record wahoo. 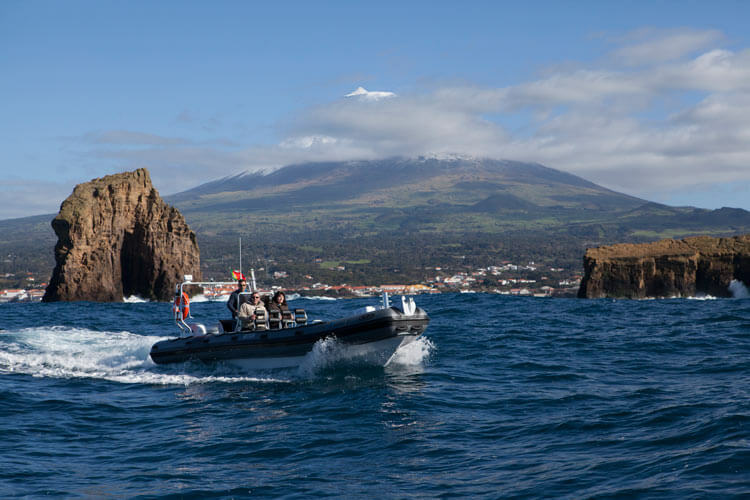 The Azores are 9 volcanic islands that make up one of the most beautiful places on earth. Groups: Both private and mixed groups – if you’re on your own just let us know! 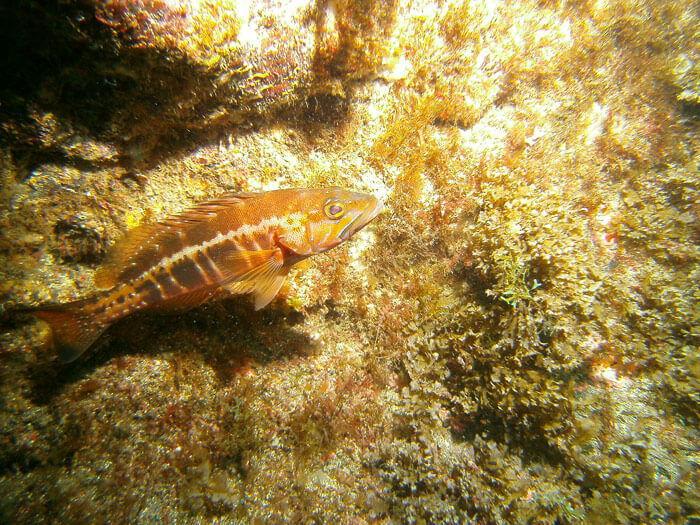 Season: June – September (sometimes October depending on water temp). Guide and instructor available: Yes, included. 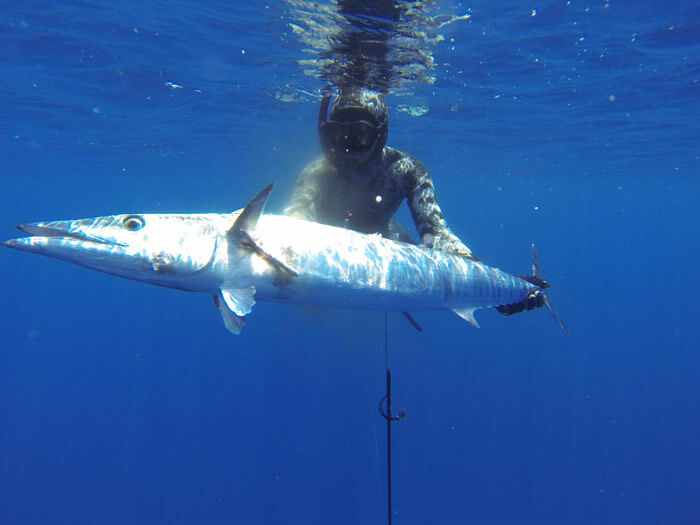 Blue water targets: White marlin, blue marlin, big eye tuna, yellow fin tuna, long fin tuna, blue fin tuna, wahoo, dorado, bonitos, yellow mouth, barracuda, great amber jack. 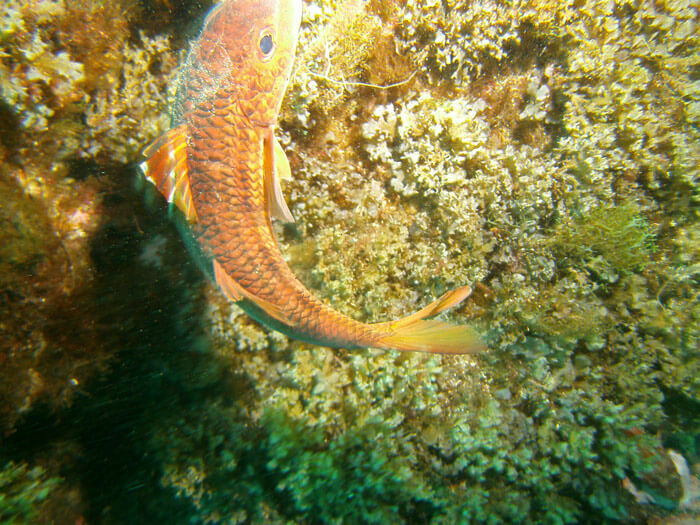 Reef targets: Endemic species like guelly jacks, grouper, parrot fish, lobsters and many, many more. Family friendly: 100% yes! See below. 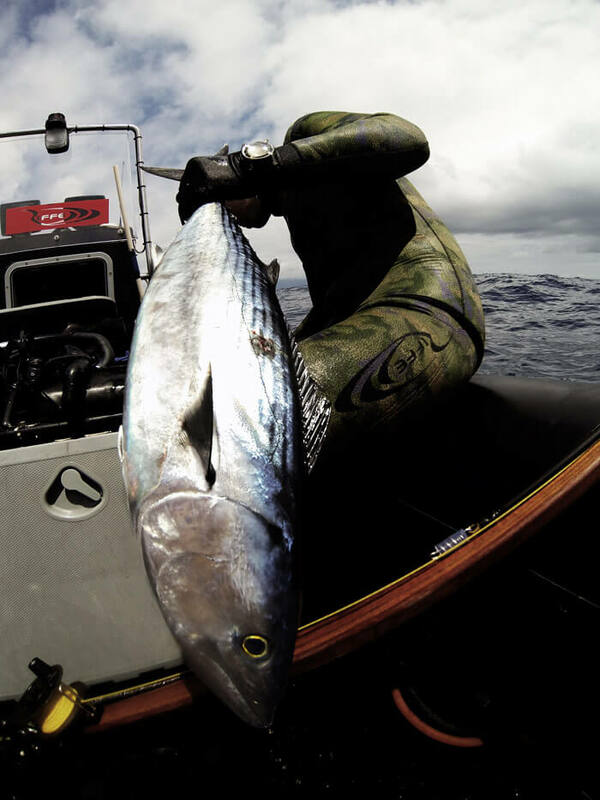 The Azores has always been a legendary spearfishing destination – however it really got thrown into the spotlight when in 2014 the Bigeye tuna world record got smashed by Paulo Afonso and it was a MONSTER at 110.1kg!! 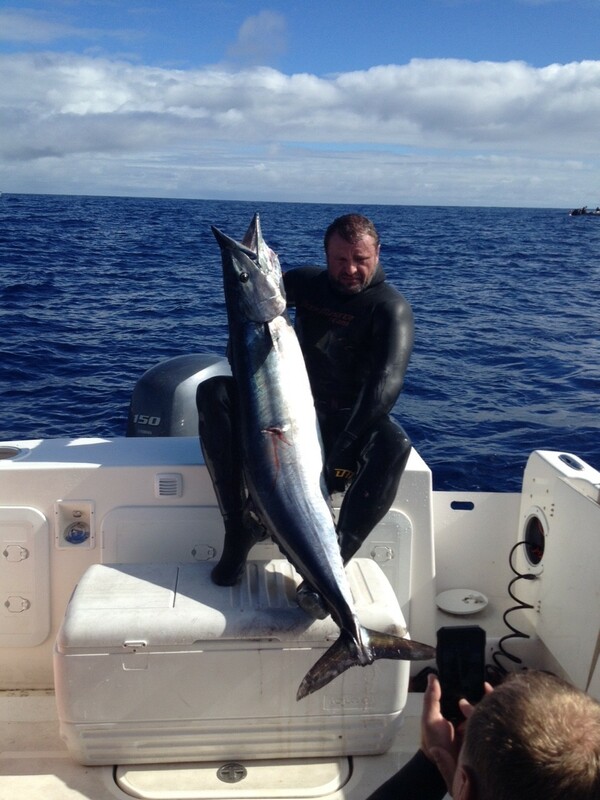 As soon as this happened, we knew we needed to arrange spearfishing trips here. 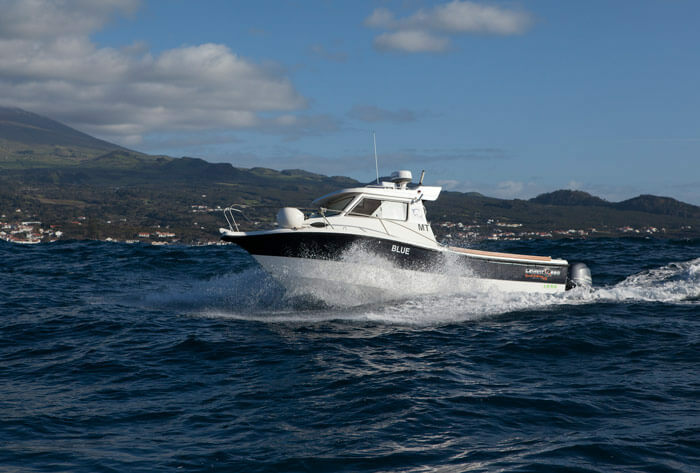 We scoured the islands and vetted various skippers until we were happy that we had found the very best. 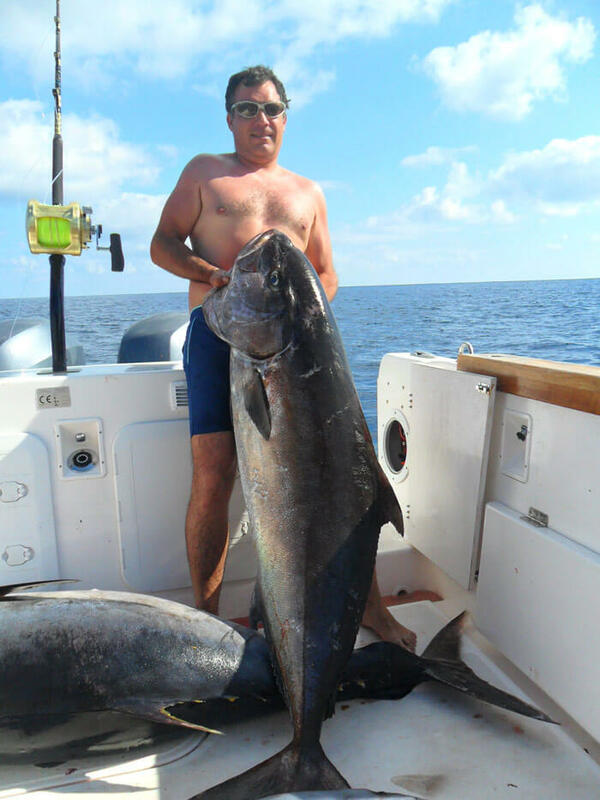 Pedro and Luis have been hunting the biggest monsters around the islands with rod and gun for over a decade. 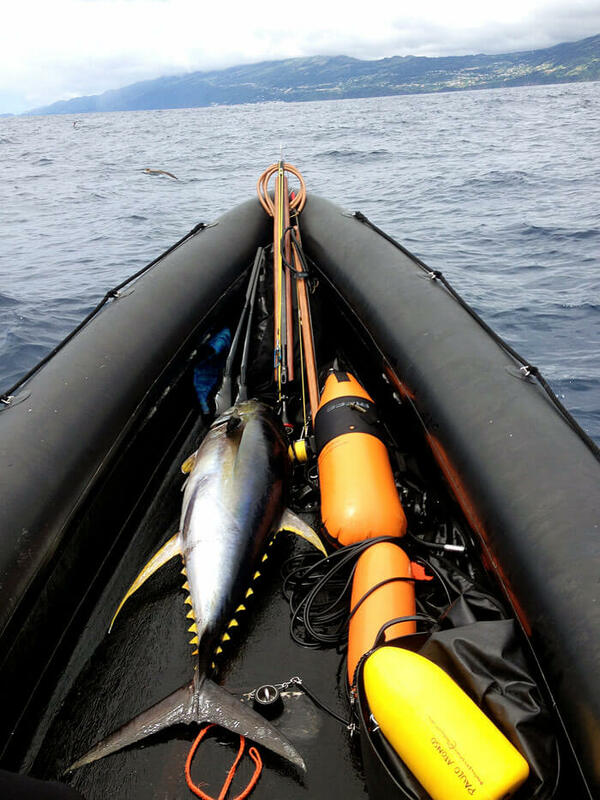 Turns out the Azores has one massive tuna season, that includes the biggest bigeyes in the world, yellowfins and the goliath blue fins which we can spear when the law permits – incase you didn’t know, bluefins can grow up to 680kgs! 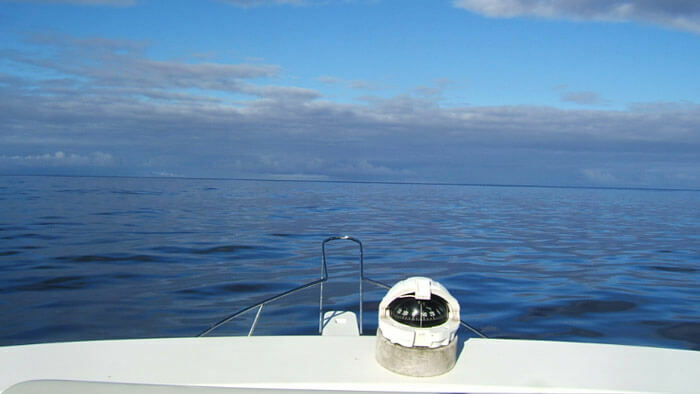 Princess Alice Bank: 50 miles offshore, with 30 meter pinnacle. This spot is wild – we say that it’s time to leave the boys at home and only let the men play here 😉 This costs 1400 euros because its so remote. 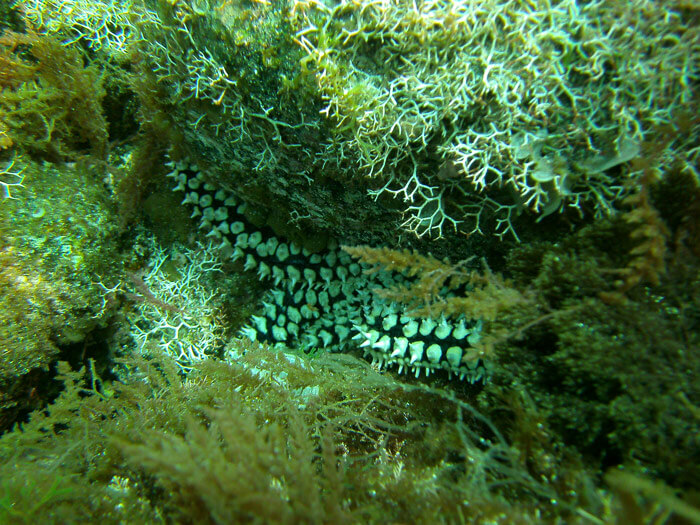 We leave at 3am and return after midnight – it’s a long day but worth it. 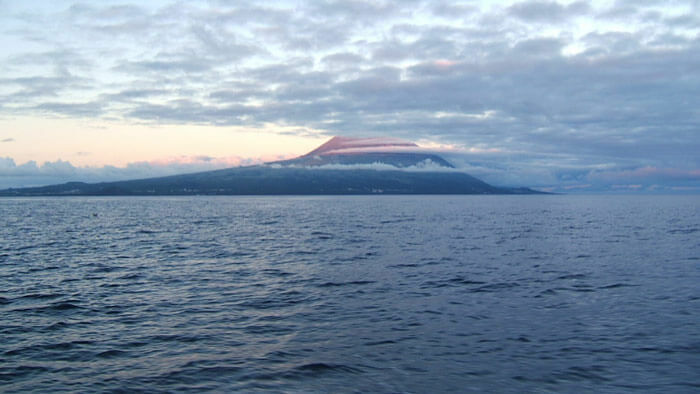 Azores Bank: 30 miles offshore, with 180 meter pinnacle. 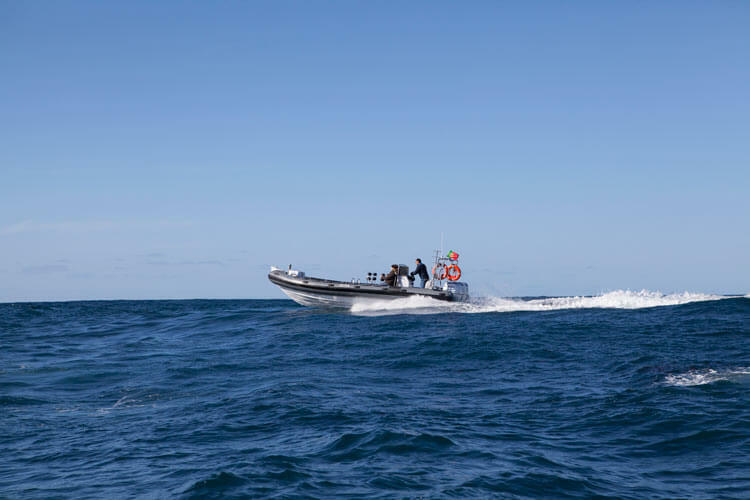 Condor Bank: 25 miles offshore, with 160 meter pinnacle. 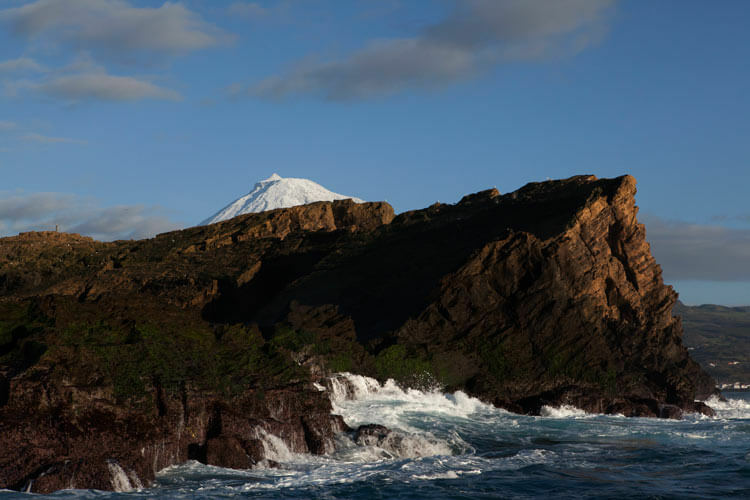 Rosais Pinnacle: 18 miles from Pico, 3 miles from S. Jorge. 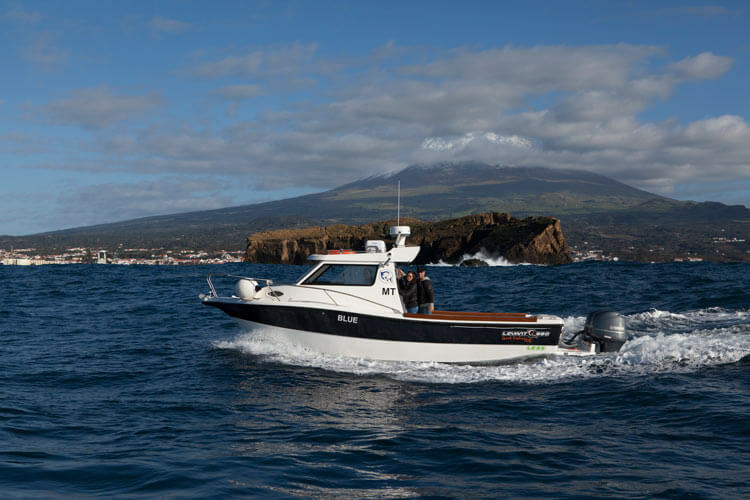 Baixa do Sul/Baixa do Norte: (2 pinnacles between Faial Island and Pico) 2 miles offshore. 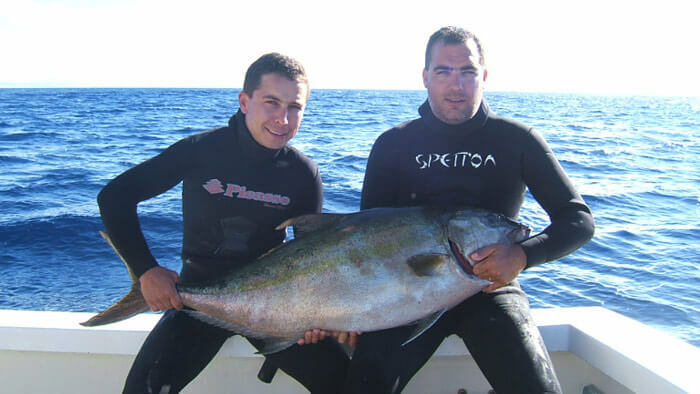 On top of these locations we have a whole treasure map of secret spots boasting great amberjacks up to 50kg. 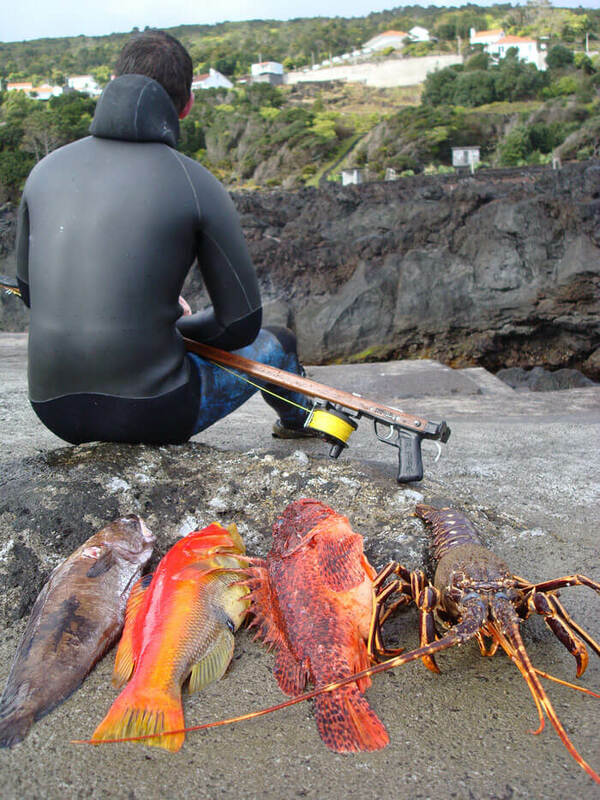 What makes the Azores so amazing for spearfishing? Take a look at its location on the world map. 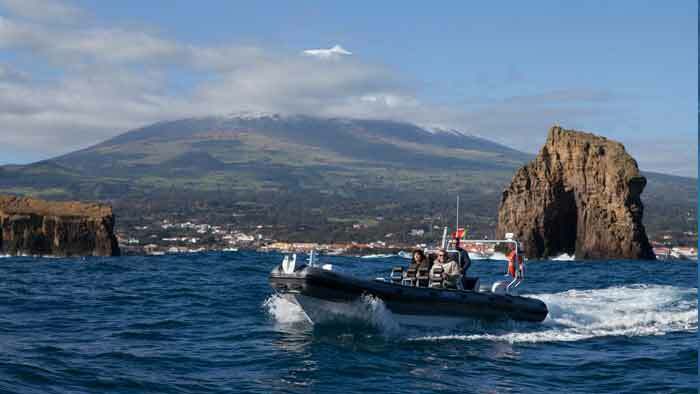 Right in the middle of the North Atlantic Ocean it’s one of the remotest collection of islands on the planet. 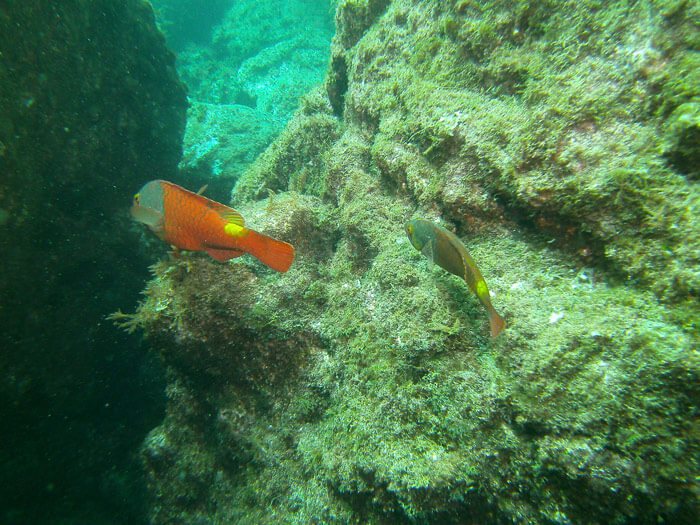 With remoteness comes the opportunity for these fish to grow, and grow, and grow! 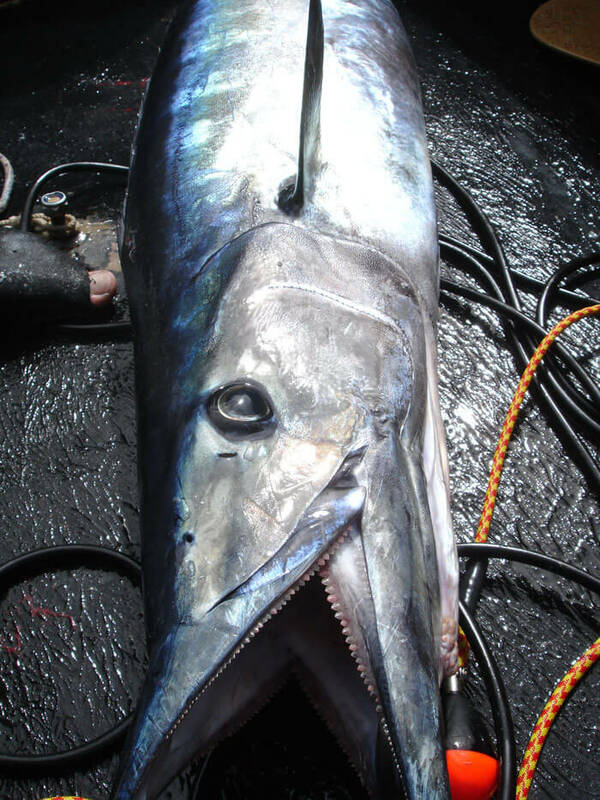 Monster tuna of all varieties, billfish and world record wahoo all pass the Azores on their travels chasing full bellies. 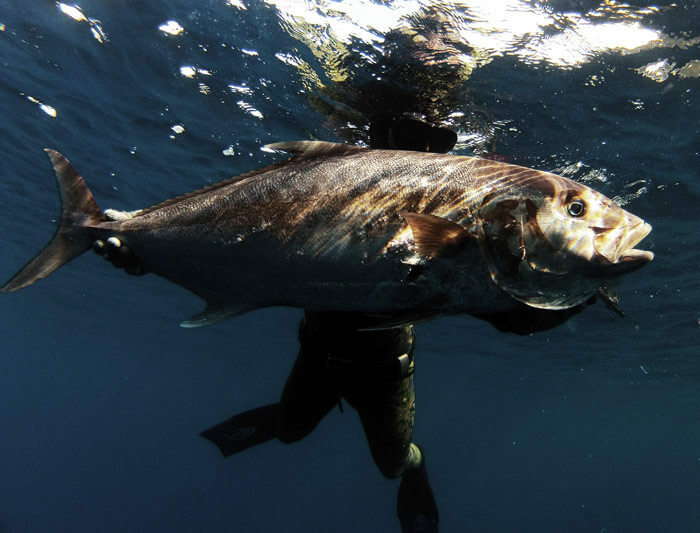 The way to start planning your Azores spearfishing trip is to get your head around what types of spearfishing there is to partake in. 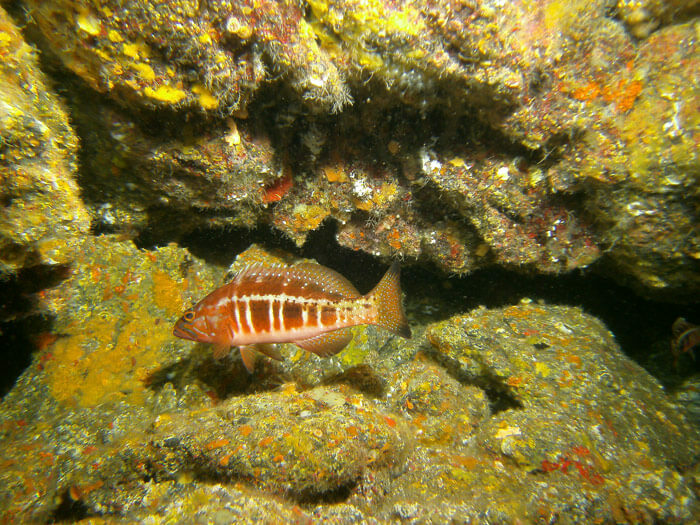 We have reef dives that offer an endless supply of tasty fish. 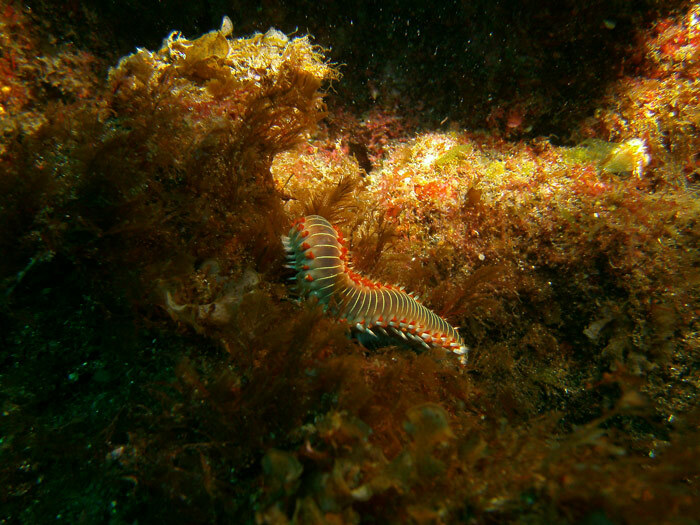 You could literally dive for a few hours and have enough fish to last you a week. 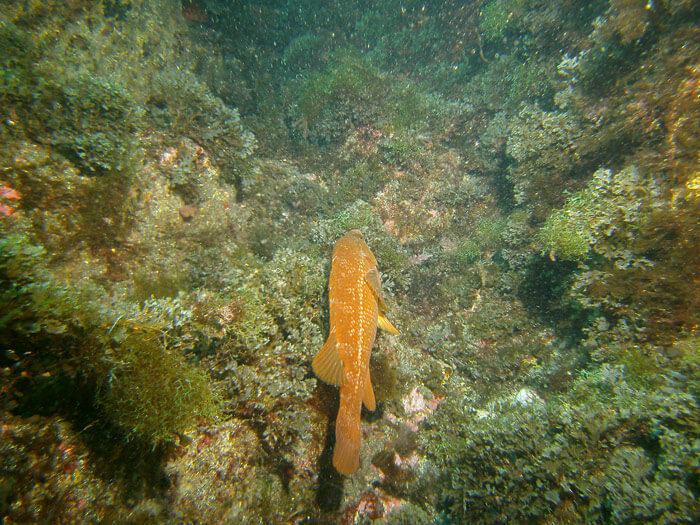 As soon as you drop down you will be surrounded by parrotfish and grouper as well as many other species. 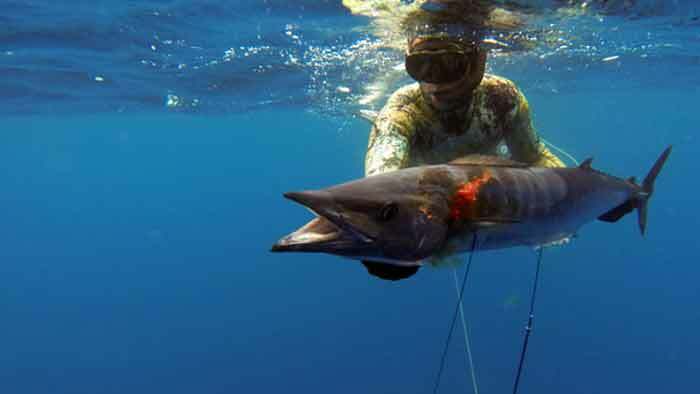 This is great spearfishing in itself and you never know what else you may see, from the barracudas, atlantic bonitos to amberjacks. 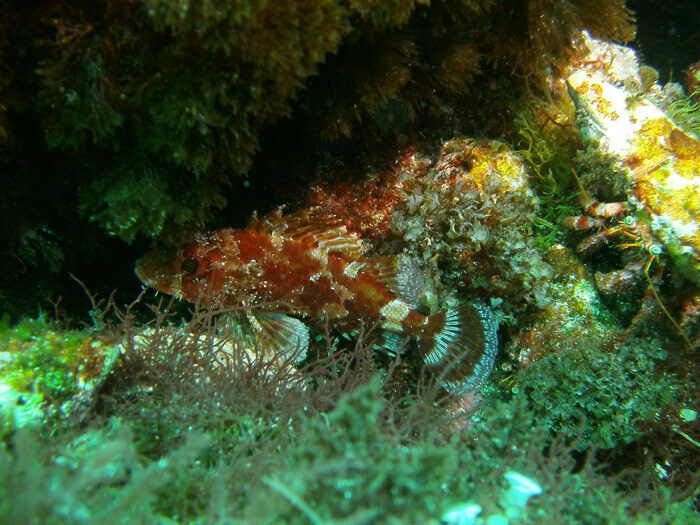 In our eyes it’s best to start your trip with a day or two diving the reefs. Relax, shake of the plane journey and open up the lungs. Nothing too deep if you don’t want yet rewarding all the same. 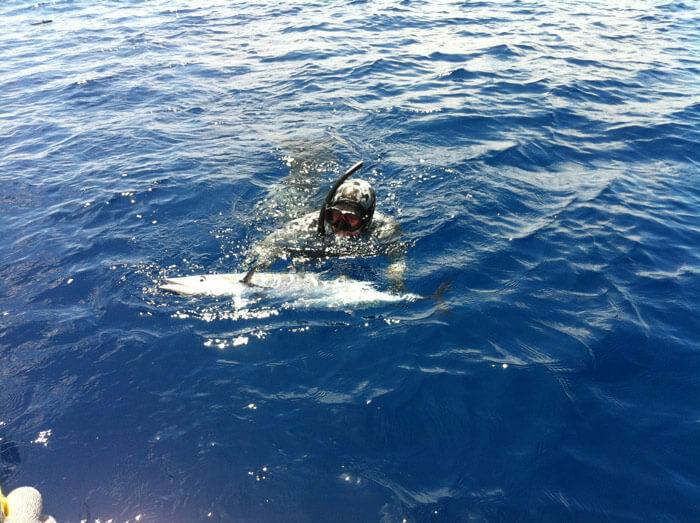 If you undertake this expedition it will be one of those days that you will remember forever. It takes 4 hours just to get there and we like to stay for as long as possible to make it worth everyone’s while. The average trip starts at 3am and ends past midnight, a very long day. 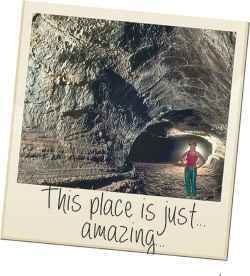 However it’s worth every second as Alice bank is famous for attracting pretty much everything, in its biggest format. It’s a wild place where you could see absolutely anything, a regular hang out for monster specimens! 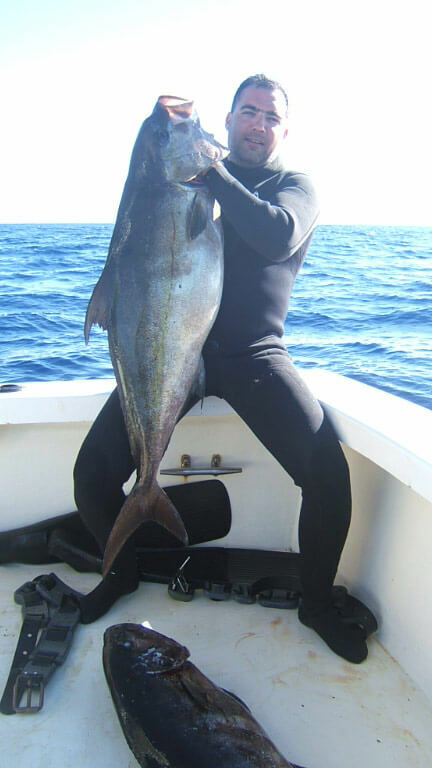 At the time of writing we are the only people to offer big game spearfishing. 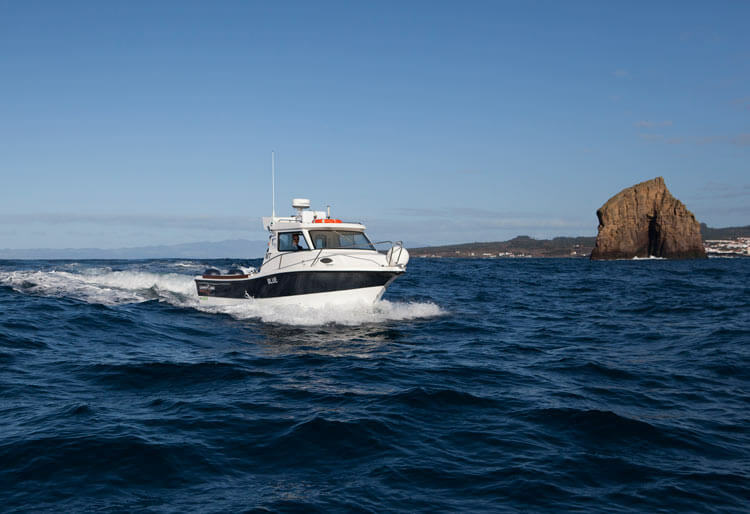 There are many places offering ‘blue water’ but no go to the places we go, its just inshore opportunities from a rib. 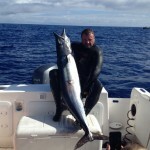 While you can get barracudas, they cannot target tuna etc. 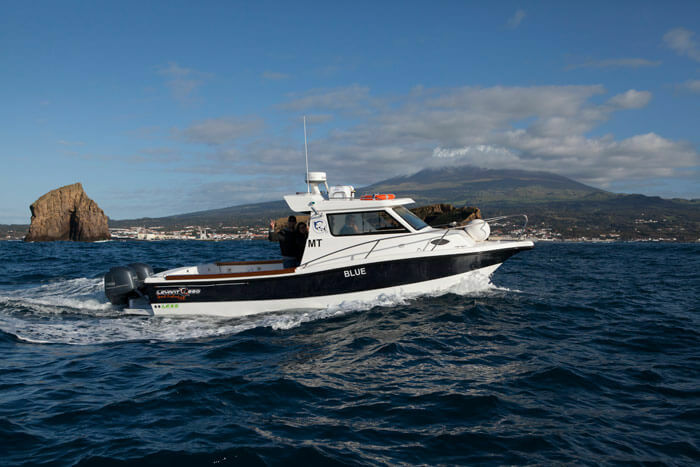 The skippers are also well respected spearo’s in their own right. 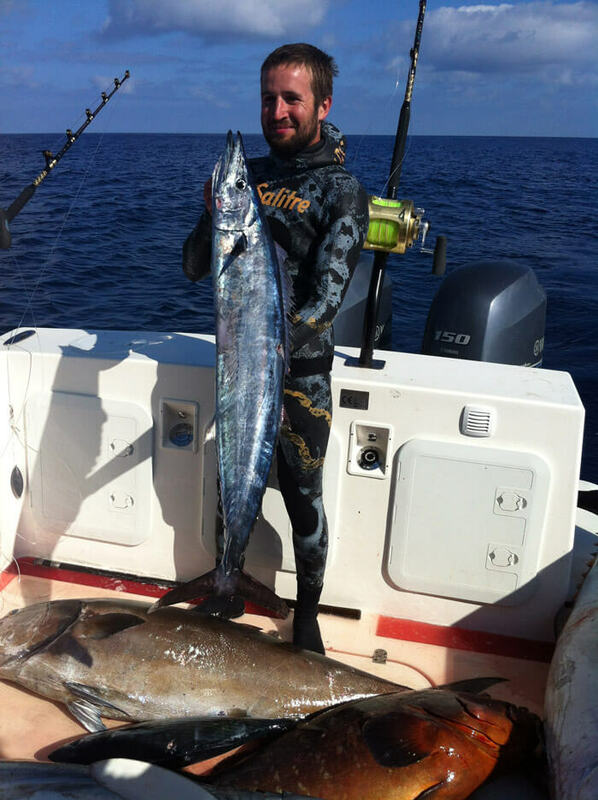 The best way is to think how many days you want to do each type of spearfishing for and then add some extra rest days that we can use should some bad weather churn things up unexpectedly. 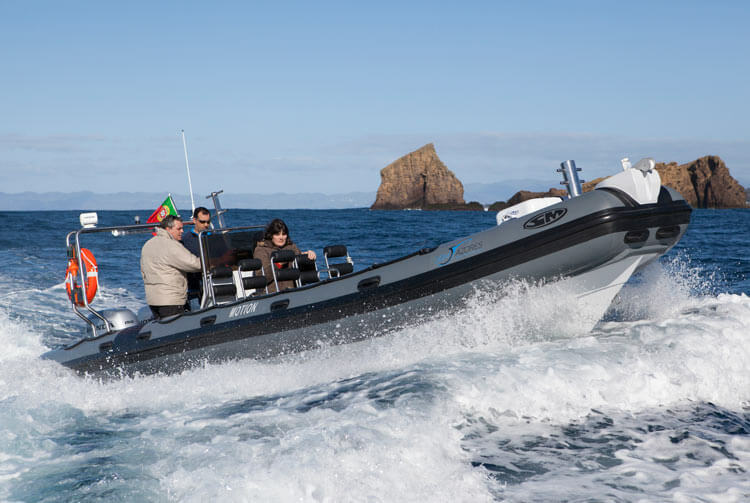 The prices above are for a big game boat, not a rib, and include food and refreshments. 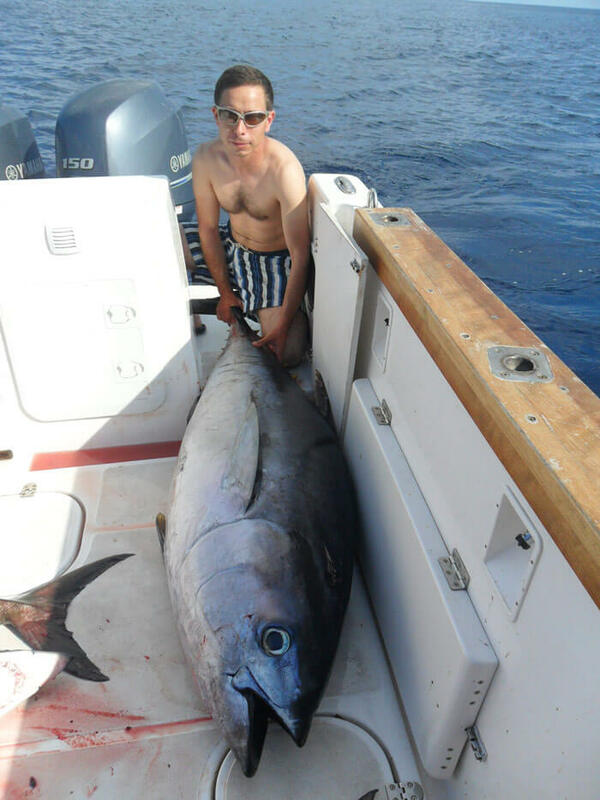 We also have all the big game rods so if you want a break we can do some fishing and trawling no problem. 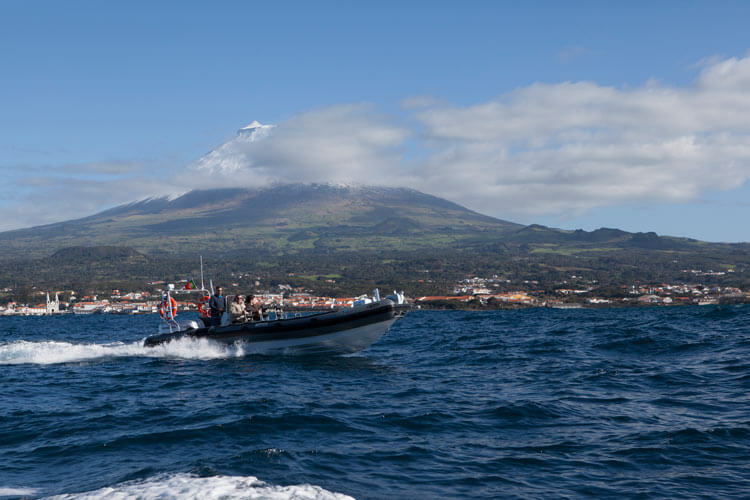 The Azores consists of nine volcanic islands famous for their outstanding natural beauty, each being as unique as the next. 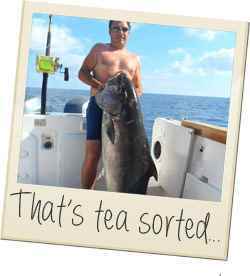 When not hunting underwater giants you will be spoilt for choice for what to do next. 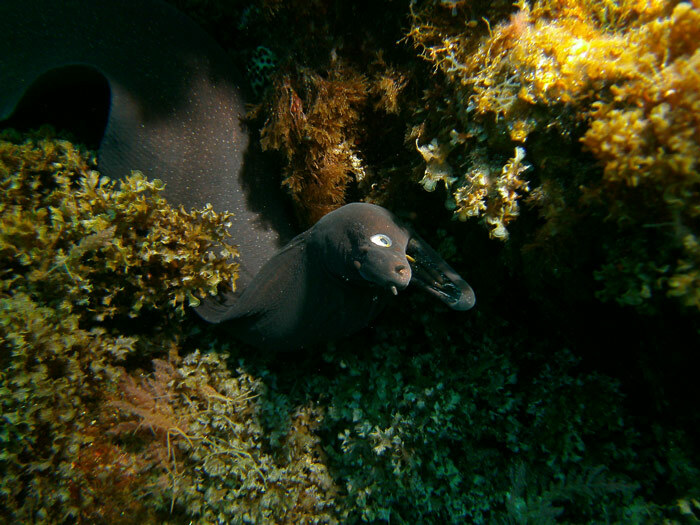 Voted the best location on earth to watch Cetaceas (that’s various types of whales, dolphins, and porpoises to me and you), you can seek out a whole host of whales and dolphins and even swim with them if you’re brave enough 🙂 We have scuba diving, shore fishing, boat jigging, hiking on various marked trails, mountain climbing, cave tours, lava tubes, bicycle renting, quad biking – and Pico Island alone has over 50 natural small lagoons to take advantage of. Beyond that, it’s famous for its fine restaurants, local cuisine and wine. The problem, as you will find, is ‘going home’. 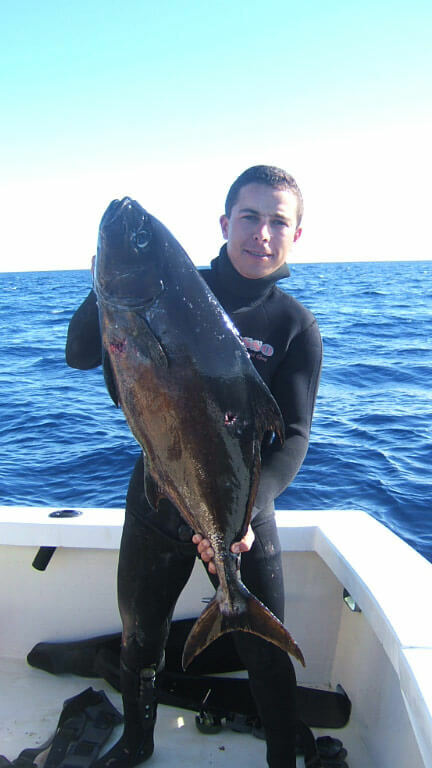 Unlike other destinations which tend to be about 100% spearfishing, this is a perfect trip to share with the family. 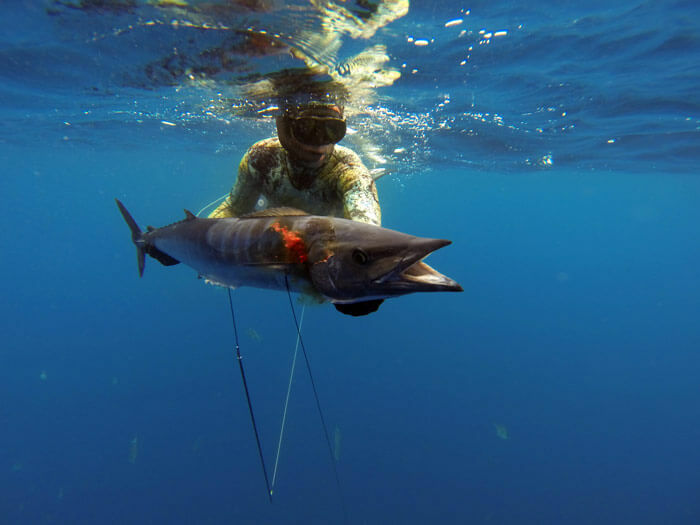 With so much on offer, you can be assured everyone will be having a trip of a life time, be it spearfishing or exploring the islands with all their activities. Accommodation can vary depending on what exactly you are after. 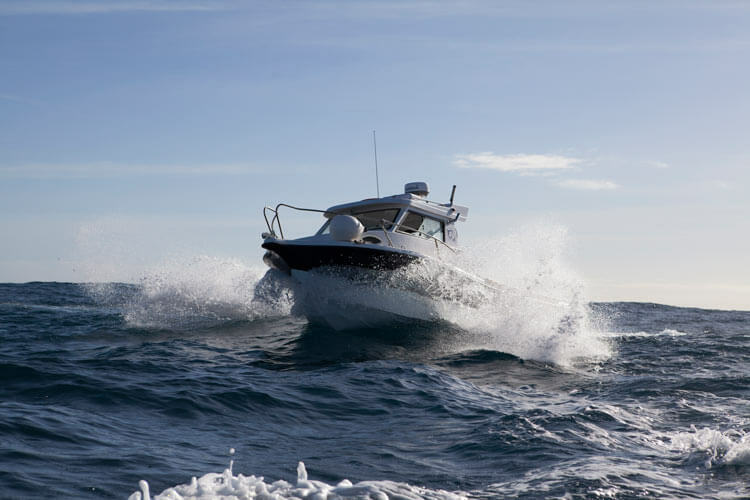 Everything is available from camping up to 5 star hotels, ensuring all needs can be catered for.